2014 was a great year for me, I moved onto running my business on a full-time basis, April and I moved back to the shoreline, and we got engaged, talk about major life changes! As my life was changing in front of my eyes, so were the lives of my clients. With the start of 2015 it means it's time for me to take a look back at 2014 and the images that stick out in my mind as some of my favorites. Trying to select ten images from 2014 to label as my top ten was no easy task. With every wedding I shoot about 1,200 images and easily double that number if I'm working with a second photographer. I than curate that number down to about 400-600 deliverable images for my clients. 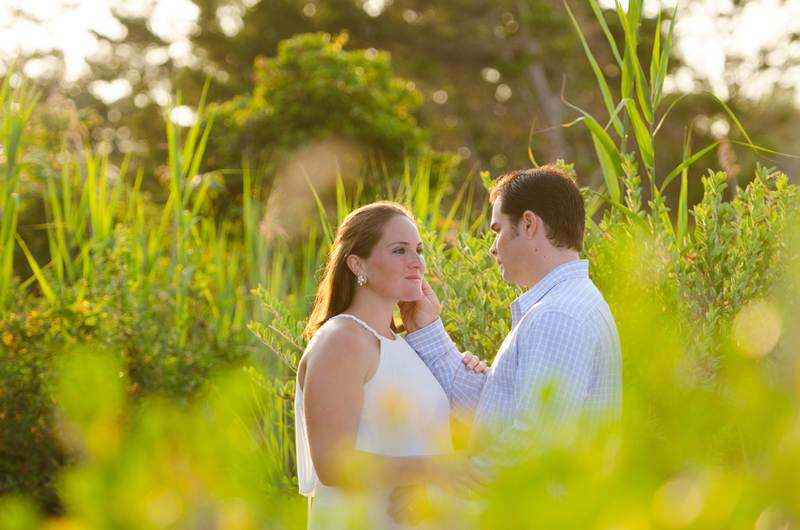 For engagement sessions I shoot about 200-400 images and curate that number down to about 50-100 deliverable images. Needless to say choosing just 10 images to feature was no easy task, but I've done my best to select images that stick out to me. I present to you the top ten images from 2014 with the story and what I was thinking when I made the image. At the final wedding of the year I was about to take a quick break to grab a bit to eat, when all of a sudden I noticed the venue director standing with this little girl next to the cake. Having just put down my gear at the vendor table, I yelled over to April who was assisting me, to throw me one of my cameras. April actually tossed me my camera about five feet. I crouched down and captured this image in a split second. 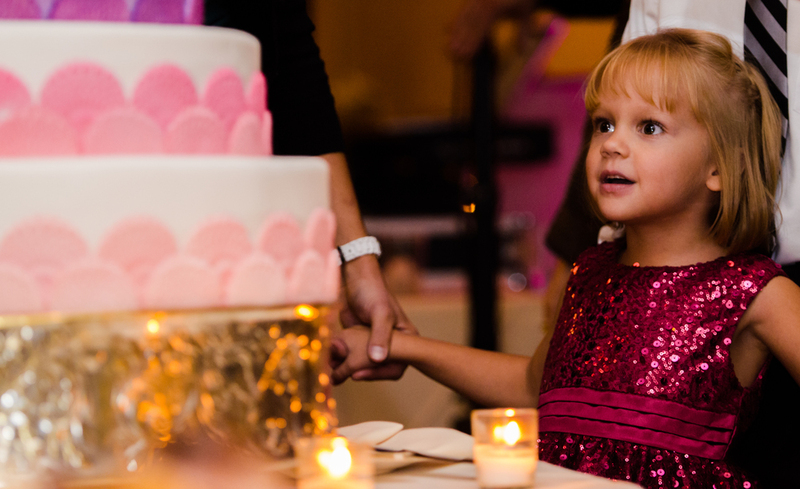 To capture this little girls expression when looking at the cake was priceless and well worth the risk of dropping my camera. I always say to be prepared for anything when photographing a wedding. This is about the best case I can make for being prepared for anything. As the cute as a button ring bearer was walking toward the aisle, we quickly realized that he had lost the brides wedding band! Without skipping a beat about half the guest jumped out of their seats and started searching for the ring. 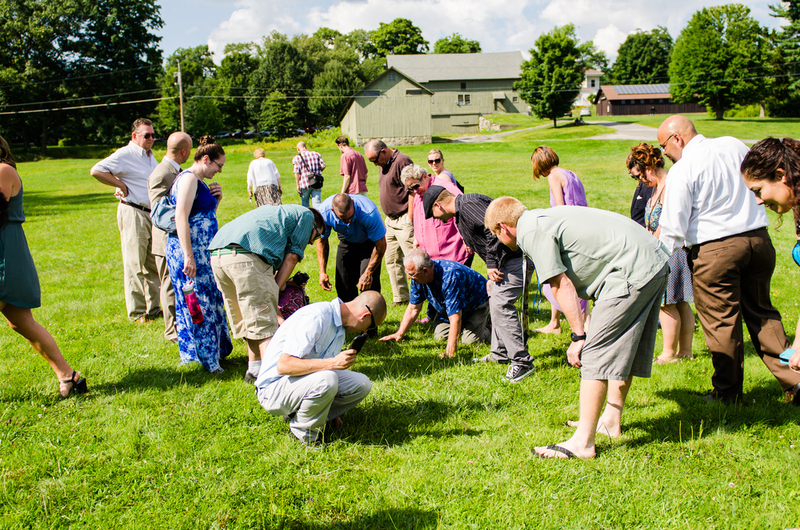 Being one to document everything that happens on a wedding day, I took just one image of everyone looking for the ring, before I myself helped in the search. Just as everyone started to get nervous that the ring would not be found, who else but me see's it shining in the August midday sun! Some of the guest said I saved the day, but in my heart I was just doing my job. Best quote was a guest said "whatever you paid the photographer, it was not enough, he actually saved the day!" I just laughed and went back to shooting the ceremony. Weddings are about the bride and groom, but there are tons of special moments between the guest as well. I was second shooting for my buddy Robb Cyr Photography during this wedding and was actually shooting of film vs. digital. 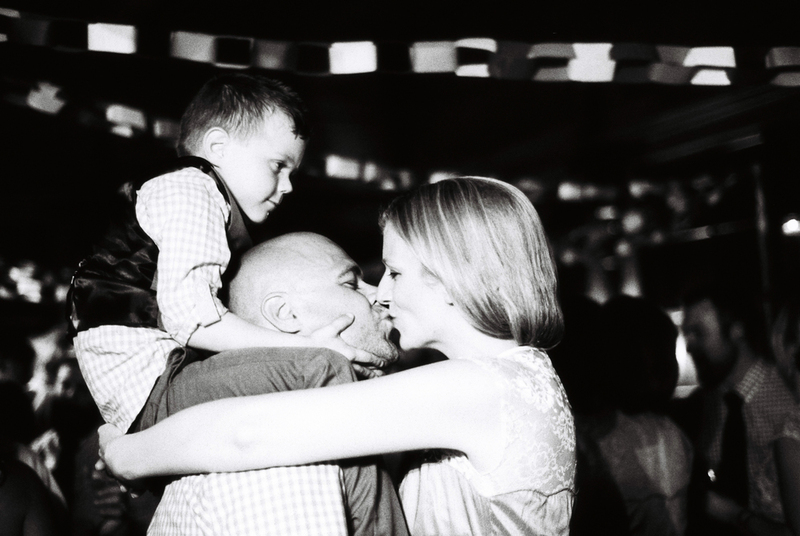 As the night was winding down I saw this couple dancing in the corner of my eye with their son on his Dad's shoulders. When shooting 35mm film sometimes you get an extra frame or two from your roll. I was just about to change out my roll when I took a chance on capturing this image and luckily I got that one extra frame I needed to capture this special moment between this family. Frame 25 on a roll of film that had 24 exposures gave me this. So worth taking the chance and waiting that extra second to change out my roll of film. Part of my routine on a wedding day is to create detail images of the dress, shoes, rings, etc. Creating detail images are always fun, but sometimes there is more power to a detail image when one of your subjects is in the frame. I was taking a step back to look at this scene to see if I wanted to create an image of the dress in this light, when all of a sudden the bride walked over from hair and make up and started looking at her dress just hanging there. I don't know what thoughts were going through her mind at that moment, but this was a beautiful moment that needed to be captured forever. Many times as I'm setting up an image of the couple, special intimate moments happen, thats why as I'm talking them through how I would like them to pose I have my camera to my eye. This was one of those moments that my couple gave me. This image is from a intimate elopement and right after their ceremony I was setting up a shot shooting through a bush, when the groom started to fix his brides hair. Relaxed, intimate, and candid, this image made April say "what a beautiful moment you captured babe", as we were reviewing the images when we got home. I have Allison and Chad to thank for allowing me to photograph my first wedding ever in my favorite city NYC! Originally we had not planned on doing an engagement session, but when I was looking at my schedule I noticed I had an open Saturday the month before their wedding, so I decided to go down to the city and walk through all the locations we would be shooting at on their wedding day. I brought along one camera, two lenses and asked them if they would like to have a mini engagement session for the heck of it and they said yes! The trick to making images in any location is to always look at your surroundings, as we were walking from one location to the next I noticed this jewelry store with a subway stop right in front of it. I told Chad and Allison to stop and come stand over here and give each other a kiss. As we were walking I had noticed the engagement ring sign, the subway, and the guy standing there in the walkway not giving a damn about what was going on around him and knew I had to create an image in this scene. Not even thinking about it, I ran into the middle of a busy NYC street and created this image. In classic NYC fashion a cab almost hit me, and people yelled at me from their cars. I didn't care, all that was worth it to create this moment. As I was kneeling down at the end of the aisle during the processional I was right next to the grooms mom. I had one eye on her and one on who was walking down the aisle. I did this because I got the sense she might give me an emotional candid moment. My guess was correct, I glanced over and saw her crying and wiping the tears on her cheek away. Moments like this are why I love my job. One of the things I'm known for is framing my couples in the corner or bottom of the frame and using negative space to highlight just them. This technique came in handy while in Central Park with Allison and Chad on their wedding day. It was a busy Saturday in August and the park was packed, you would never know that just out of the frame there are about 100 people milling about in the park. If I didn't tell you that, you would probably guess we were in the middle of some beautiful forest, not Central Park..haha. Kristina called me on a busy weekday in July (the middle of wedding season) wondering if I was available to shoot an engagement session later that week. I was, and out of curiosity I asked if there was a reason she wanted to shoot it that week. She told me her fiancé was going to be deployed soon and they wanted to capture their love before he left for six months. What I didn't know was, he would be deployed, if I remember correctly, two days after I made this image. Making things a little more stressful was that the day we scheduled the session there were on and off again rain showers and the threat of thunderstorms, without being able to reschedule we took our chances and went ahead with the session. Knowing Avery Point in Groton really well, I knew if the thunderstorms passed we would have a killer mid-summer sunset to work with. As we were winding down the session I asked them if they would be game to try something different for me. This image is a composite of two images. One image was to light Kristina and Joe with a flash April is holding and the second image is for the exposure of the sky and to remove April from the frame later in Photoshop. I have to say, this is probably my favorite image all year from a technical stand point, but what's more important is that I was able to captured their love before Joe had to go back to sea. My favorite image from 2014 is again a candid moment that happened in the blink of an eye. As Amanda was getting into her dress I noticed one of her flower girls watching her, that in it's self would be a great moment to capture, but it's this moment that grabbed my attention. Without even thinking about it, the flower girl helped to fluff out Amanda's train and gave me this moment. She knew I was watching her and to capture her expression with Amanda laughing in the foreground about sums up why I love my job. Wedding days are full of spontaneous moments filled with laughter, love, and joy, this image captures all of that, making it my favorite image from 2014. In all honesty these are just 10 images from a year full of awesome moments and beautiful photos, but each one of these images has a story and that's why they are on this list. As the 2015 wedding season approaches I can't wait to capture all the moments that my couples allow me to witness. It's an honor to be apart of such an important day in a couples life, so here's to 2015, and all the laughter, love, and joy it will bring!